Dia Mirza and Halle Berry spent some quality time together – Here’s all that they talked about! Academy Award winning actress Halle Berry flew down to Mumbai, India to attend a private event at a suburban hotel. Berry met her Bollywood counterpart Dia Mirza at the event. The two empowered women talked about climate change, pay parity, children and a lot more! 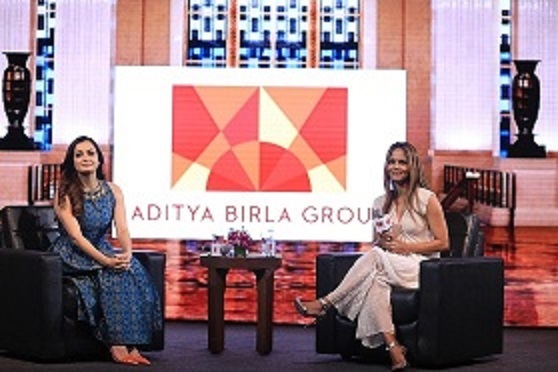 Dia Mirza, who is a big fan of Berry and her work said that the idea was to bring two women from different parts of the world to discuss common experiences between them. While watching Halle’s famous Monster Ball, Dia never imagined that she would be sharing a platform with the actress. “She won a beauty pageant, found her way into films and subsequently started producing them. Ditto, so there was this bond of common choices between us, as also a shared love for the environment and nature which was a main topic of discussion. Halle was effusive, warm and wonderfully responsive to the interaction,” Dia Mirza stated. “Halle has fallen in love with India and I am pretty sure she will come back,” Dia concluded saying Halle should be back soon. 16 queries in 0.385 seconds.